Heckerling is a great conference, as evidenced by the ever-growing attendance (3,400 attendees this year!) and the top-notch speaker roster. It fills two huge ballrooms in the largest Marriott in the world. It’s a long week filled with invaluable insights and practical planning tips for attorneys, wealth planners and accountants. Withum is proud to field a team of partners to attend this year and every year. Thank you for following our updates this week! Almost All You Need to Know About Powers of Appointment to Make You a Super Estate Planner was presented by Turney P. Berry and Jonathan G. Blattmachr. Thank you for reading Thursday, January 17th update on Heckerling, one more day of summaries to come! Today’s blog post about the Heckerling Institute is written by Withum’s Private Client Services Partner, Alfred La Rosa. Well it’s Wednesday, January 16, 2019, and Day 3 of the 53nd Annual Heckerling Institute on Estate Planning. Once again, we have been introduced to many creative ideas and planning techniques presented by some of the most prestigious estate & gift tax planners in the country. 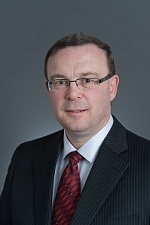 Bernard A. Krooks, of the NYC law firm Littman Krooks LLP addressed situations where the estate planning professional encounters a client or beneficiary that faces mental or physical disabilities. It is important that the planner fully understand the client’s situation and needs, both financially and personally, and design and draft all the necessary documents with appropriate powers and flexibility that effectively address and accomplish client’s evolving needs and desires. For individuals, miscellaneous deductions such as tax preparation fees and investment management fees are no longer deductible under the 2017 Tax Act. However, the issuance of Notice 2018-61 does confirm that trusts & estates can continue to deduct expenses incurred for the administration of the trust/estate (including trustee fees, accounting and attorney fees). Investment management fees are not deductible. On the termination of an estate or trust, the excess of deductions (IRC 642h) over the gross income for the last taxable year was allowed as an itemized deduction (2% AGI limitation) to the beneficiaries succeeding to the property of the estate or trust. Although many practioners believe that these excess deductions on termination will no longer be deductible under the new law by the beneficiaries, it should be noted that Notice 2018-61 does provide that the IRS and Treasury are studying whether such excess deductions under 642(h)(2) may be deductible. Since a possibility that excess deductions on termination would be allowed as an income tax deduction, the applicable beneficiary may want to get an extension of time to file his/her income tax return. If guidance is not issued by the extended due date, file the return, pay the tax, and file a protective claim to keep the statue open. Often irrevocable trusts are intentionally drafted as a grantor trust for income tax purposes. As a grantor trust the grantor is responsible for reporting the trust’s income and paying the income tax on such income. By having the grantor pay the tax, the trust is not depleted by income taxes allowing for greater growth, while at the same time reducing the grantor’s estate free of any additional estate/gift tax. There are additional benefits to consider. Sometimes circumstances change and the grantor may not want to pay the income tax on income that he will never receive. Therefore, a provision should be included in these trusts giving the trustee the authority to reimburse the grantor for such income taxes. The trust terms may also include a provision that would allow the grantor to “turn off” grantor trust status for income tax purposes. Of course, this must be properly drafted to avoid any potential inclusion in the grantor’s estate. The inability to choose a family member, friend, of professional as a fiduciary continues to be one of the major reasons/causes for not getting estate planning documents completed. The conference did devote sessions and discussions on fiduciary selections. A corporate or professional trustee is always an option. Use of Charitable Lead Trusts (“CLTs”) have regained popularity in today’s low interest rate environment. In general, CLTs are designed to provide income payments to qualified charitable organizations for a term of years and/or the lives of one or more individuals. After this term, the trust assets are paid to either the grantor or to one or more noncharitable beneficiaries. In drafting and administering CLTs it is important that the grantor not be named as trustee and not retain control over the charitable lead payments or of the recipient of these payments (including a private foundation that is “controlled” by the grantor). Such a retained power may cause the transfer to be incomplete for gift tax purposes, resulting in the trust being includible in the grantor’s estate. This problem can be avoided by not retaining the power, having a person other than the grantor serve as trustee, or by providing for an independent special trustee whose sole purpose it is to select charitable income recipients. As expected a great deal of time was spent on Section 199A. During these discussions, the panel reiterated that the proposed regulations confirm that the multiple trust rules of Section 643(f) apply for purposes of the QBI deduction. These trusts will be aggregated where two or more trusts have substantially the same grantor or grantors, similar terms, substantially the same beneficiary(s), etc. This anti-abuse rule means that trusts formed or funded with a significant purpose of receiving the QBI deduction under Section 199A will not be respected for purposes of Section 199A. Carlyn S. McCaffrey of McDermott Will & Emery LLP-New York, New York, Linda R. Ravdin of Pasternak & Fidis, P.C.-Bethesda, Maryland, and Scott L. Rubin of Fogel & Rubin-Miami, Florida, addressed the changes in the 2017 Tax Act that should be considered when negotiating a prenuptial and a divorce settlement. The post-divorce treatment of trusts created by one spouse when the other spouse is a beneficiary, and using such trusts as replacements for the repealed alimony deduction and as estate planning devices were explored. More to come from the Heckerling Conference as the week continues! Even though there were some excellent presentations on Day 2 related to such topics as Qualified Small Business Stock, Tax consequences of marriage and divorce under the new tax act, and making your charitable estate plan great again, we have chosen to focus this discuss on IRC Section 199A since it may affect many of our trust and estate clients. From time to time, a new law comes along that can dramatically affect estate and business planning, and cause accountants to lose many nights of sleep. The 2017 Tax Act brought us IRC Section 199A and the qualified business income deduction. Code Section 199A applies to nongrantor trusts and estates as well as to their beneficiaries. The section can apply such that either the trust or estate may be treated as an individual and qualify for the Section 199A deduction, or the trust or estate may be treated as an RPE (Relevant Pass Through Entity) , passing the various elements of the deduction through to its beneficiaries who then, as individuals, may qualify for the Section 199A deduction. Because of the nature of grantor trusts, Section 199A would not apply. The Code provides a set of rules that override the general trust taxation rules and cause the income of certain trusts to be taxed to the grantor (or someone treated as the grantor) to the extent that he or she has retained prohibited enjoyment or control of trust income and/or principal. The grantor trust rules generally treat the grantor as the owner of any portion of the trust property over which a grantor trust power applies. As a result, all items of income, deduction, expenses, and credits associated with that portion of the trust are reported directly by the grantor on his or her income tax return. The grantor calculates the Section 199A deduction as if he or she conducted the portion of the activities attributed to the trust. Broadly speaking, income earned by a nongrantor trust or an estate in any year is taxed to the trust or estate to the extent that the income is retained, but is taxed to the beneficiaries to the extent that it is distributed to the beneficiaries with the trust or estate receiving a distribution deduction in the latter case. Subject to several exceptions, the general rule is that any distribution from a trust or an estate will carry with it a portion of the trust or estate’s DNI. Trust and estate distributions are generally treated as coming first from current income, with tax-free distributions of “corpus” arising only if distributions exceed DNI. If distributions are made to multiple beneficiaries, DNI is generally allocated to them pro rata. Once the trust or estate’s taxable income is determined, we then know whether the trust or estate falls in Stratum I, II, or III. Because the threshold limits for single filers applies to trusts and estates, for 2018, the threshold amount is $157,000, and is $160,700 for 2019. As it currently stands, in determining a trust or an estate’s taxable income for Section 199A purposes, proposed § 1.199A-6(d)(3)(iii) provides that the trust or estate’s taxable income is calculated before taking any distribution deduction. This means that for purposes of determining the threshold amount and whether a trust or an estate falls within Stratum I, II, or III, the entity must consider all of its taxable income, even if all of its taxable income is distributed to its beneficiaries. The proposed regulations argue that because taxable income can be shifted between trusts and estates and their beneficiaries, QBI could be shared among multiple individuals, entitling each of them to their own threshold amount and that would be a bad thing. Because Section 199A requires each nongrantor trust and estate to calculate its respective QBI, W2 wages, UBIA of qualified property, qualified REIT dividends, and qualified PTP income based on those items that are allocated to it, the trustee or executor will need to establish a system to track these items in its books and records. When a nongrantor trust and estate is allocated QBI, W-2 wages, UBIA of qualified property, qualified REIT dividends, and qualified PTP income, calculations of items related to Section 199A are first made at the trust or estate level, and then, if appropriate, are further allocated to the trust or estate’s beneficiaries. If those items are further allocated to a beneficiary, the trust or estate becomes an RPE to the extent of its allocation. Prop. Treas. Reg. § 1.199A-6(d)(1). If a trust or an estate allocates a portion of these items to a beneficiary and retains a portion of these items, for Section 199A purposes, the trust or estate will be treated partially as an RPE and partially as an individual. The proposed Treasury regulations adopt DNI as the method to allocate Section 199A items between a nongrantor trust or estate and its beneficiaries, and similar to the notion that DNI carries out to beneficiaries only to the extent of taxable income, Section 199A items are allocated to beneficiaries to the extent DNI is distributed (or deemed distributed) to the beneficiaries. Once Section 199A items are allocated to a beneficiary, the beneficiary uses the allocated amounts to calculate the beneficiary’s Section 199A deduction. Likewise, the trust or estate uses its retained Section 199A items to compute its Section 199A deduction. If no DNI is distributed or deemed distributed to the beneficiaries or if the trust or estate has no DNI in any year, all Section 199A items will be allocated to the trust or estate, which will then calculate its Section 199A deduction. Proposed § 1.199A-6(d)(3)(iv) confirms that electing small business trusts (ESBTs) are entitled to a Section 199A deduction. In addition, the proposed regulation clarifies that QBI and other Section 199A items are to be accounted for separately for each of the S portion, non-S portion, and any grantor portion from any S corporation owned by the ESBT. No specific provisions were made in Section 199A or the proposed regulations regarding charitable remainder trusts (CRTs) and whether a Section 199A deduction would be available to recipients of any taxable portion of such trusts that could result in a deduction. The suggestion made by the tax professionals is that for any Section 199A items that may be allocated to a CRT, the CRT will be treated as an RPE, like a non-charitable trust that allocates such items in accordance with the DNI rules, with those items being reported to the beneficiary on a Schedule K-1. Section 199A and its related proposed Treasury regulations add a new income tax wrinkle, when planning involves businesses and their owners. Proposed § 1.643(f)-1 adds a new wrinkle, and uncertainty, in trust planning. Regardless, estate planners must be aware of and have working knowledge regarding the income tax issues that are important to their clients. As planners, we anxiously await the final Treasury regulations with the hope that we will have more certainty! Today’s blog post about the Heckerling Institute is written by Withum’s Private Client Services Partner and Practice Co-Leader, Hal Terr. After the ball drops in Times Square for the New Year a considerable number of attorneys, accountants and trust officers finalize their travel plans to go to Orlando, Florida the second week of January. No, it is not to go see Mickie and Minnie Mouse at Magic Kingdom but to attend the Heckerling Conference held by the University of Miami to listen to the preeminent speakers in estate planning. 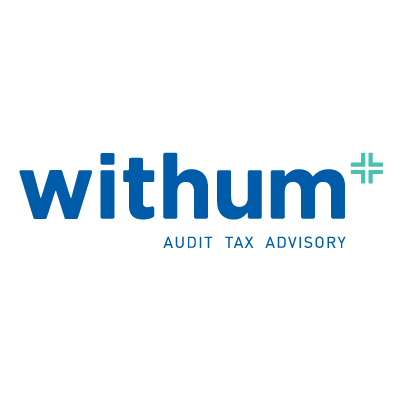 Once again, the Private Client Service tax partners at Withum will be summarizing each day’s discussion from the insights they have heard. Leading off the insights of the first day is Hal Terr, co-Practice Leader of the Private Client Services Niche. This year’s conference has 3,400 professionals attending, exceeding the prior year attendance records which emphasizes that even with great change in the law, there will always be the two constants of death and taxes. The Recent Developments section this year was presented by Steven Akers, Samuel Donaldson and Amy Kanyuk and provided an overview of recent IRS pronouncements of the 2017 Tax Act as well as tax court decisions in the areas of estate and gift. Those were the highlights from the first day. Stay tuned for tomorrow’s blog post you will hear from Ted Nappi on Heckerling’s Tuesday presentations.